Looking For Things To Do In Dundee? HomeBlogLooking For Things To Do In Dundee? There’s so much going on in Dundee – Get a little culture! Are you looking for something different to do in Dundee this May? If so you’re in luck, if you are interested in art and the creative sector. The Degree Show opens this Friday at DJCAD Dundee College of Art. Art Students have been experimenting, researching and developing work for 4 years and it’s now time to launch their collections. Open Saturday 21st -28th May. Tea Green Concept Atelier is showcasing a variety of talented artists, designers and makers at the Old Flour Mill which is open till Sunday 29th May. Live demonstrations and lots of lovely gifts to treat yourself. 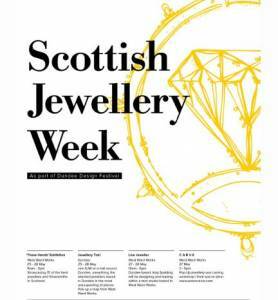 Dundee International Design Festival at the West Ward Mill, (old DC Thompson building near WASPS) 25th – 28th May. Lots of exciting events to sign up to and take part in. 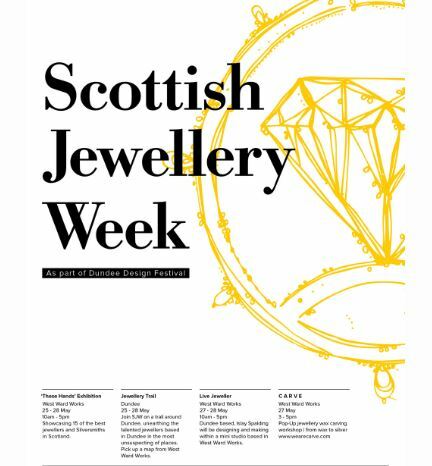 Scottish Jewellery Week is broken up into different events, including the Jewellery Trail,- see my work in Freedom Hairdressing, Dock Street (follow the trail and find 9 other venues throughout the city showcasing a jeweller in an unusual space). These hands Exhibition and Live jeweller event. Between 25th – 28th May. Get a bit of culture, visit some places in Dundee that you haven’t been to and get some surprises, expand your creative mind, and support the local talent.